A beautiful masquerade mask with ostrich plume feather, mask is fixed to a hand held stick with a tassel at the end. 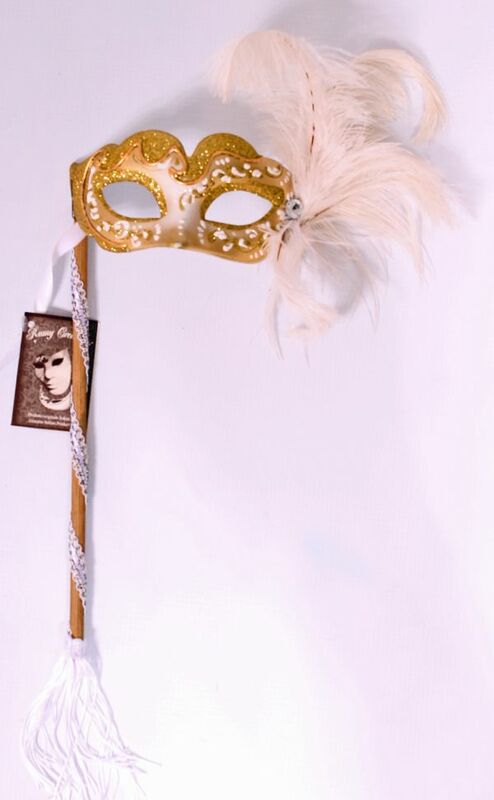 Fabulous for any masked party, made in Venice. Delivery in the UK only. Collect in shop only - delivery NOT available.